Wine writer, blogger, and Italian wine and food historian, keeping the world safe for Italian wines since 2007. 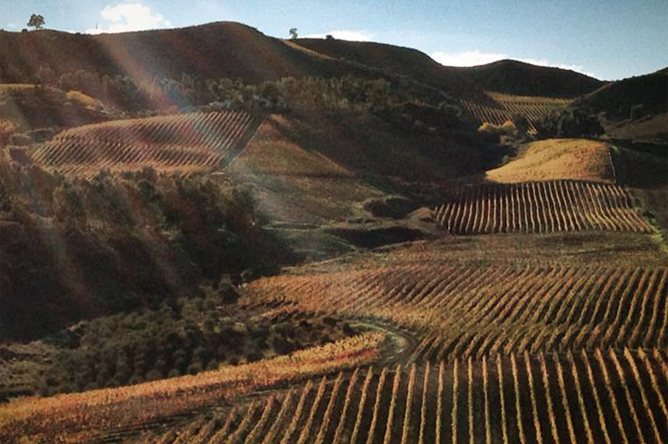 Above: A view of the Feudo Montoni vineyards on the island of Sicily. The delicious 2011 Nero d’Avola Vrucara is one of the protagonists of Sicilian enology. Fabio Sireci is on an explosive upward trajectory that started at an already impressive quality level. His wines just get better and better. By law, a wine labeled Nero d’Avola must be 85% true to the variety, and I don’t know if anything else is added here, but it hardly matters. Vrucara sees fruit sourced from the Principato di Villanova property in central Sicily. The wine is loaded tight with bold berry intensity, olive tapenade, hummus, crushed earth, tobacco and balsam herb. You rarely see this level of complexity with Nero d’Avola. I love everything about this beautiful wine. Fruit is sourced from 90-year-old pre-pylloxera vines. I am always impressed by the wines of Fabio Sireci, but this new set of releases blew me away. These are some of the finest wines ever made at the beautiful Feudo Montoni property. In particular, I wanted to flag the 2014 Perricone Vigna del Core. This native Sicilian grape is late to ripen and often proves difficult in obtaining higher alcohol levels (like the 13.5% alcohol recorded here). In other words, it’s a very difficult variety to farm, but Fabio has succeeded in producing an exceptional wine. 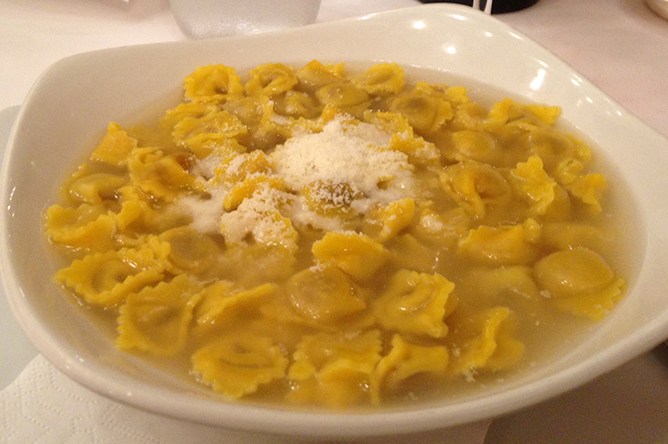 Above: Tortellini in brodo make for a classic New Year’s Eve dish in Emilia-Romagna where Lambrusco is the preferred pairing. We were thrilled to learn that the Los Angeles Times has recommended the Caprari Lambrusco Secco Frizzante for New Year’s Eve this year. As southern Italian wine becomes more and more popular in the United States, we increasingly see the Aglianico grape take center stage next to Nebbiolo and Sangiovese as one of Italy’s greatest noble red varieties. There’s really no way around it: Aglianico growers simply haven’t matched the marketing savvy of their counterparts in appellations like Barolo, Barbaresco, Valtellina, Brunello di Montalcino, and Chianti and Chianti Classico etc. But that’s beginning to change. 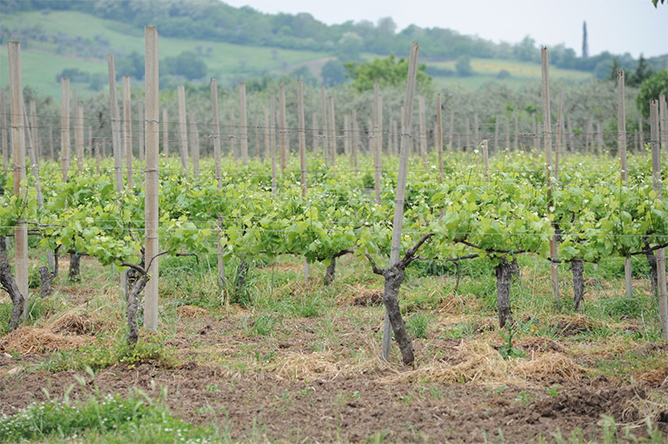 Aglianico from Campania, and in particular from Taurasi, has made remarkable gains over the last decade in expanding its visibility among American consumers. These wines, raised in the volcanic soils of the Campanian mountain chain, have an incredible ability to express earthy, umami flavors along side deep, vibrant red fruit. And like the noble red wines of their northern and central counterparts, tourism has been a huge boost for reaching English-speaking wine lovers. Above: Old vine Aglianico growing on the Carbone estate in the shadow of the extinct volcano, Mt. Vulture, in Basilicata. 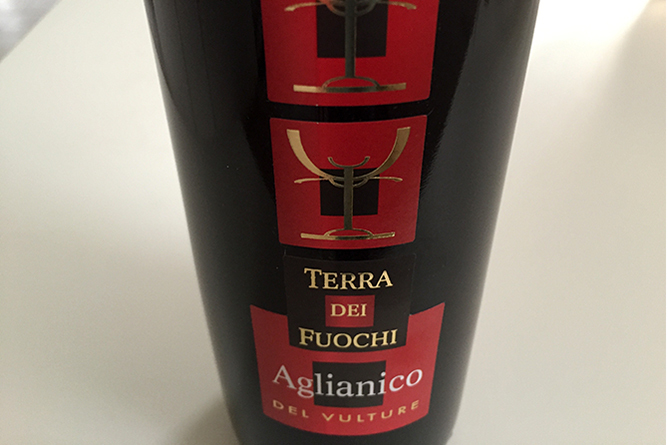 And here’s where Aglianico del Vulture — the “other Aglianico” — faces one of its biggest challenges. Because food and wine tourism is virtually non-existent in Vulture, few Americans have ever heard of these wines, let alone tasted them. Like their cousins to the west, these wines are raised in black, nutrient-poor and mineral-rich volcanic subsoils at high elevation. And like their cousins, they grow in vineyards surrounded mostly by woodsy countryside still left untouched by major development. The entry-tier Aglianico del Vulture by Carbone (pictured above) is such a wonderful example of how fresh, clean these wines can be while still showing great earthy flavors and lipsmacking acidity. You wouldn’t expect those traits from a wine from Basilicata, one of Italy’s “forgotten regions.” And in fact, most of Basilicata is dominated by low-lying wheat fields (Basilicata is one of Italy’s most important producers of wheat, by the way). But on the south and south-east side of Mt. Vulture, the only anomaly in this otherwise flat land, you have the ideal condition for the cultivation of fine wine grapes. Carbone’s Terra dei Fuochi is named after Vulture, “the land of fire” (terra dei fuochi) and it is vinified and aged in stainless-steel before being bottled (no oakiness here). It’s an entirely unique expression of Italian viticulture and it weighs in at a fantastic by-the-glass price. Vineyard image via the Carbone Vini Facebook (worth checking out). We are thrilled to share the news that the 2012 vintage of the Sedilesu Mamuthone has been awarded the Tre Bicchieri (Three Glass) prize by the editors of the 2016 Gambero Rosso Guide to the Wines of Italy (please note that the 2011 is pictured above). The 2016 winners for Sardinia were announced today. 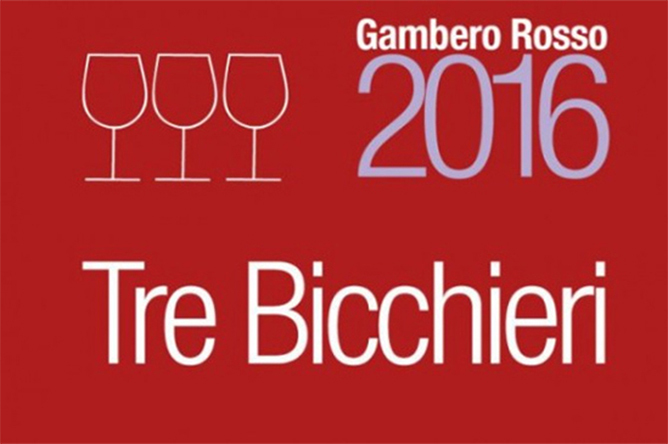 The Tre Bicchieri award is arguably Italy’s most prestigious accolade and it is reserved exclusively for Italy’s top wines. It was created by Daniele Cernilli — the Italian wine critic now known as “Dr. Wine” — who based the rating on the fact that a bottle of wine contains six glasses of wine and that a bottle is always shared by at least two people. If each person drinks three glasses, the reasoning goes, it must be an exceptional bottle of wine. Now in its 26th edition (when the 2016 version will be released), the Gambero Rosso Guide to the Wines of Italy is the Italian wine trade’s bible. To read more about Sedilesu’s Mamuthone, please click here. 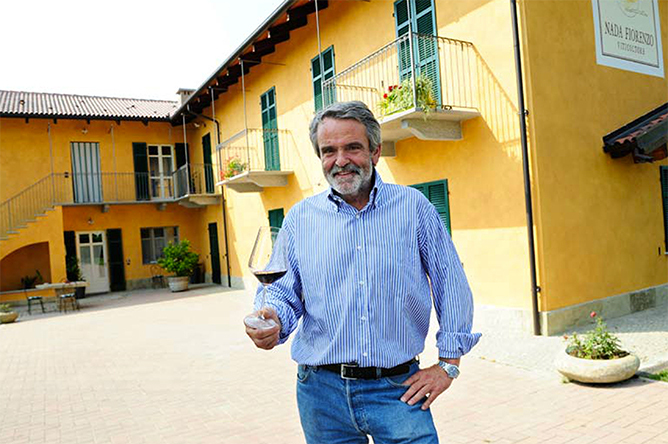 Above: Bruno Nada, son of Fiorenzo Nada, founder of the Fiorenzo Nada winery. Click here for the Fiorenzo Nada website. “Bruno Nada is one of the most underrated and overlooked growers in Piedmont,” wrote Antonio Galloni, one of the world’s most respected authorities on the wines of Piedmont. Below, please find some of his scores and tasting notes for the wines of Nada Fiorenzo. The estate’s 2009 Seifile, an old-vine Barbera/Nebbiolo blend, comes across as quite silky and polished. It is the least expressive of Nada’s 2009s, almost certainly because of its recent bottling. Although the fruit is a bit subdued at this stage, the wine’s minerality and overall balance are impossible to miss. The huge, textured finish bodes well for the future. Nada gave the 2009 16 months in French oak. Anticipated maturity: 2017-2029. The 2009 Barbaresco Rombone is bursting at the seams with textural elegance and finesse. 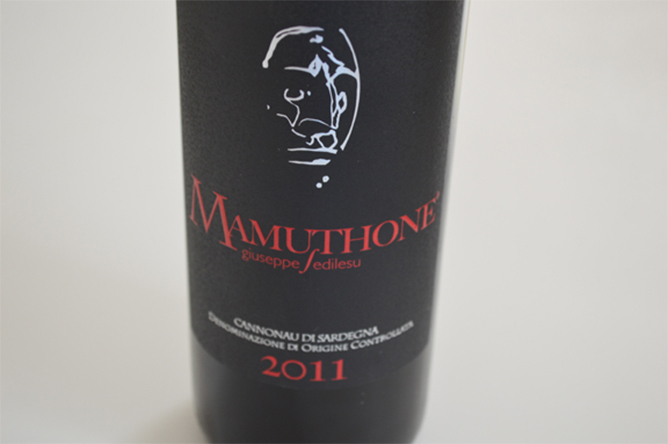 Sweet red cherries, mint, flowers and tobacco all take shape in this arresting, voluptuous Barbaresco. The Rombone is another wine that captures the best attributes of the vintage. Layers of dark fruit, menthol and sweet spices wrap around the lush, full-bodied finish. The Rombone spent one year in barrique and another in cask. This is a true stand-out in a vintage full of inconsistent wines. Anticipated maturity: 2014-2024. Boasting bright energy and a youthful personality, the 2010 Barbaresco Rombone hails from a cru that is very much identified with the greater Nada family of Treiso. This Barbaresco shows a great sense of inner structure and intensity with defined berry tones followed by ethereal notes of cola, dried ginger, crushed flowers and grilled herbs. It shows a good level of drinkability now that will only improve with time. Rombone shows the structure for long aging. Drink: 2016-2027.